Help Wild Bird every time you shop at King Soopers with our reload-able gift cards. There is no additional cost to you and they are easy and convenient to use and can be used indefinitely. Simply purchase a King Soopers reload-able gift card from us for $5 (redeemable for $5 in merchandise) and reload the card (for any amount up to $500) when it’s empty at the Customer Service Desk or the cash register before you make your purchases. Wild Bird receives 5% of purchases made at King Soopers with our reload-able gift cards. These reload-able gift cards can be used to purchase virtually anything (except services and other gift cards) at King Soopers including gas at the fuel centers and the pharmacy. They can also be used at most other Kroger affiliated stores throughout the U.S. such as Kroger or City Market.  So even if you travel or live outside Denver or Colorado, you can help Wild Bird. To order your King Soopers reload-able gift card today please send a check for $5, and your mailing address to Wild Bird Rescue & Rehab, PO Box 101133, Denver CO 80250 and put “gift card” in the memo and we will send you a card or order through PayPal with $0.70 shipping charge. Remember these reload-able gift cards can only be purchased directly from Wild Bird. Thank you so much for your support!